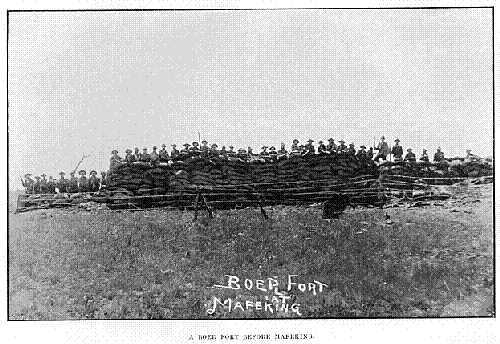 While the residents of Mafeking adjusted to their diet of horse meat and ground oats, an idealistic young officer of the Johannesburg Fortress Artillery Corps plotted an attack on the town. Sarel Eloff, one of Paul Kruger’s numerous grandsons, planned to lead a force before dawn through the native Stadt, a weak point within Baden-Powell’s line of defense. From there, with reinforcements from General J.P. Snyman pouring in at first daylight, Eloff’s men would take just short steps to reach B-P’s headquarters and capture the town. Alas! The attack failed, and the stolid General Snyman was largely to blame. He and his listless, undisciplined crew from Rustenburg and Marico did not care to leave the security of their trenches, and Eloff’s party of 240 men (far less than the 700 he’d counted on) was surrounded and eventually captured. B-P knew all about Eloff. The man had a history. 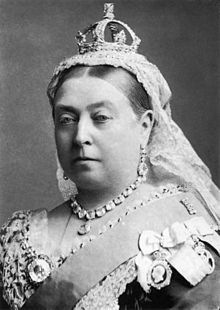 Rewarded for early exploits with an appointment as Lieutenant of the Johannesburg Police, he made rude comments about Queen Victoria at a public meeting in Krugersdorp. I wonder what he said about her? This led to an exchange of blows with British citizens and, before long, his resignation from his position. He went off to Europe for a cooling-off spell, a popular remedy of the period for all sorts of problems—a tour of castles on the Rhine while the head cleared, debts were settled, or the unsuitable love interest was forgotten—that sort of thing. When Eloff returned, he joined the Fortress Artillery Corps and received schooling from Captain Adolph Schiel, an expert from Germany. “Here he developed an industry and assiduity that did him honor,” gushed a Cologne newspaper in an article published just before the Mafeking attack: Germany, strong ally of the Boers, followed events closely. The paper went on to say that Eloff had also been trained in specialized horsemanship by Count Zeppelin of the Uhlans (marvellous!) and transformed himself from “a young firebrand” into “a slender young man with handsome, open countenance and attractive character.” The article appeared in translation in The Daily Telegraph after the attack failed, as if to mock Eloff’s pretensions. The diary-keeper, Hermann Schoch, was better educated than his neighbors, who farmed tobacco and wheat in soil that alternated between bricklike consistency in drought and a rubbery, puddinglike concoction in wet seasons. They suffered from malaria and bilharzia in hot weather. They tended to be laconic, independent, and stubborn. Schoch groused in a January 1900 letter that his campmates refused to move their laager to drier ground when heavy rains turned the site into a morass, “thro’ laziness or thro’ not caring for filth,” and kept “haggling” over the problem rather than exerting themselves. Two months later, he wrote of how Snyman ordered the burgers to sleep in the trenches at night—on the chance the British relief column might turn up unexpectedly—but when he discovered he was nearly the only one to subject himself to this discomfort, he joined the others in disregarding the order. 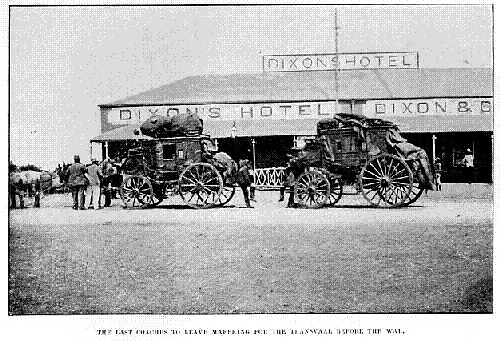 “We breakfast at Dixon’s Hotel tomorrow morning,” Eloff announced at the laager on the evening of May 11. At 4:00 a.m., as the main Boer force made a diversionary attack on the east side of town, Eloff led his men around to the west and slipped between two British forts. They followed the Molopo River into the Stadt and there set fire to the huts. If Eloff intended the fire as a signal to Snyman, it also signaled instantly to B-P. Alarm bells sounded in town. Cries of panic rose among the flaming huts, and the Baralong residents ran out of harm’s way. However, once the women and children cleared the scene, the Baralong men gathered up their antique muzzle-loaders and closed in behind the Boers, cutting off any escape. Eloff’s party advanced unopposed and quickly captured the barracks occupied by Colonel Hore, B-P’s second in command, and made prisoners of Hore and 30 others. Eloff picked up Hore’s phone and called B-P to taunt him with the capture. That was the high water mark of Eloff’s day. Two squadrons moved efficiently to surround the barracks and two other positions occupied by the Boers. Eloff waited for Snyman’s reinforcements… and waited. As the hours ticked by, his confidence waned, and his prisoners heard him complaining to his associates. The noise of rife-fire and shells crashed around the barracks, and the prisoners feared they might be executed. Toward evening, Eloff came to talk to the colonel. To Hore’s amazement, he said he would surrender if Hore could call for a cease fire. It was all up for Eloff: his men were surrounded, while Snyman had done nothing more than order pointless firing from the trenches. Boer casualties amounted to 60 killed and wounded, plus 100 taken prisoner. British casualties: 12 dead and eight wounded. The odds are this poor man did not return to France, nor Eloff to Johannesburg, until sometime after the war ended in May 1902. They would have been sent to one of the giant British POW camps in Ceylon or Bermuda—or perhaps, as they were officers, to St. Helena. And so ended Eloff’s dream of glory. * Photo from J. Robert Williams, “Adolf Schiel, Commandant of Johannesburg Fort, and the Fortress Artillery Corps.” South African Military History Journal, June 1990. 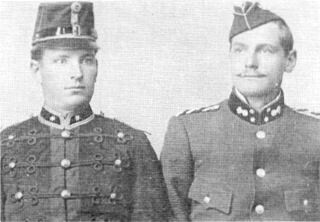 The officer at left wears a uniform in an Austro-Hungarian style, while Eloff wears an undress uniform. As mentioned earlier in this series, artillerymen were the only men among the Boers to wear uniforms. ** Quoted in Thomas Pakenham, The Boer War. New York: Random House, 1979. # This is how B-P summarized his response in a later collection of inspirational tales. ## Lionel Wulfson, “Hendsuppers of the Rustenburg Commando.” South African Military History Journal, December 1991. ### Lady Sarah Wilson, South African Memories. London: Edward Arnold, 1909.